Dr. Rosenfeld did his undergraduate studies at the University of Southern California. He then went on to the University of the Pacific where he graduated from the School of Dentistry. 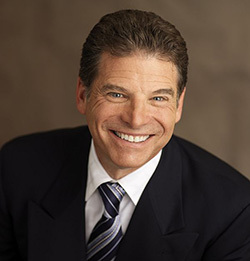 Throughout his career, Dr. Rosenfeld has continued to train rigorously with top aesthetic and restorative dental experts from around the world. In addition to his advanced training, which includes The Pankey Institute and the Kois Center, Dr. Rosenfeld has served the Community through his work with Share The Care Foundation and St. Leo’s Dental Clinic. He also chaired The Continuing Education Council and served on the Board of Directors for The County Dental Society. Dr. Rosenfeld became a Mentor and now is recognized as a Clinical Instructor at the Kois Center. He attends the Kois annual three day course symposium held in Seattle that provides yearly updates on systems, products and protocols based on the newest developments in evidence based research. Dr. Kois is both informative and inspiring, he encourages all of us to provide excellence. This symposium was the first fully digital dental course in the world. Dr. Rosenfeld is a member of the American Dental Association, California Dental Association, County Dental Association, Academy of General Dentistry, Newport Harbor Academy of Dentistry, South Coast Academy of Dentistry and The Pierre Fauchard Academy. Dr. Rosenfeld and his family have lived in the Del Mar / Solana Beach area for over 30 years. He is proud to be an active member and past president of the Del Mar Rotary Club where he has served since 1983. He is dedicated to serving the community by providing the best that dentistry has to offer. His daughter, Rachel, graduated in May 2011 with her PhD in Clinical Psychology. His wife, Beth, is employed at UCSD as Assistant Director of Financial Services.